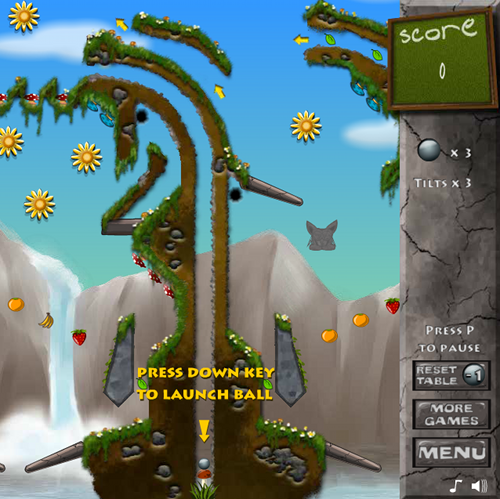 Description Pinball, with powerups. Tag different groups of mushrooms to activate special modes, get huge bonuses and point streaks! Controls Use down key to launch ball, left and right arrow keys to control your flippers, up key to tilt.